Bring back the draft? A-gain? 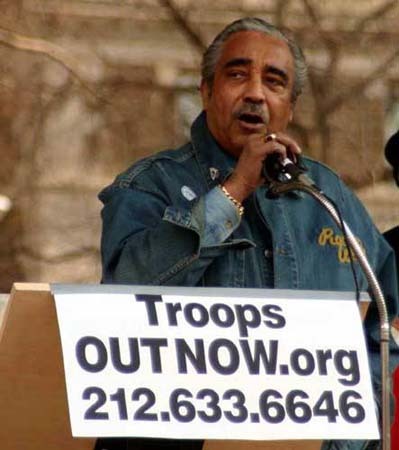 Last time there was a national call to resume conscription, it came from former Marine and zillion-term Congressman Charles Rangel (left), who fought on the famous Hill 902 during the Korean War. Many of the difficulties in civil-military relations today are attributable to our departure from the elegant system of checks and balances established in the Constitution. Congress has all but abdicated many of its war powers, including raising forces, confirming the appointment of officers, providing oversight to operations and declaring war. This has made the U.S. weaker by allowing hasty, ill-considered and poorly supported executive actions to imperil national security. The remedy for these failures requires not innovation, but rather a return to the time-tested principles of America’s founding. And part of that return, Yingling adds, is a full return to the citizen soldier. The U.S. should therefore abandon the all-volunteer military and return to our historic reliance on citizen soldiers and conscription to wage protracted war. This approach proved successful in both world wars and offers several advantages over the all-volunteer military. First and most important, this approach demands popular participation in national security decisions and provides Congress with powerful incentives to reassert its war powers. Unlike the all-volunteer force, a conscripted force of citizen soldiers would ensure that the burdens of war are felt equally in every community in America. Second, this approach provides the means to expand the Army to a sufficient size to meet its commitments. Unlike the all-volunteer force, a conscripted force would not rely on stop-loss policies or an endless cycle of year-on, year-off deployments of overstressed and exhausted forces. Third, conscription enables the military to be more discriminating in selecting those with the skills and attributes most required to fight today’s wars. Unlike the all-volunteer force, a conscripted force would not rely on exorbitant bonuses and reduced enlistment standards to fill its ranks. Finally, this approach would be less expensive. Unlike the world wars of the 20th century, today’s dangers will not pass quickly, allowing for a return to a smaller and less expensive military establishment. Imposing fiscal discipline on the Pentagon would not only strengthen America’s depleted finances, but also constrain executive ambitions for adventures abroad and congressional appetites for pork-barrel projects at home. Yingling does not, for all his historical spin, acknowledge that the Founding Fathers also considered a place for conscientious objectors, nor does he think of military conscription in the context of a broader national service requirement as others have done. I just deleted my own comment on where I stand on this, though you might be able to guess. It can be argued that “A Failure of Generalship” was incredibly influential (see the “surge.”). Will this one be? Will it at least create a debate that lives in more hearts than his, ours and a handful of historians and military families? ← War films and books: Who can’t handle the truth? His is perhaps one of a very few voices in favor of an unnecessary return to conscription. Modern warfare does not require the sheer amount of cannon fodder that prior conflicts did including the Civil War and both World Wars. Having said that, I also agree that a national universal service requirement would be a good thing on many levels, as long as it both makes room for conscientious objectors and offers civilian service alternatives. The volunteer troops of the U.S. military have never looked upon conscripts as necessarily desirable except to provide sheer numbers when necessary in the past. 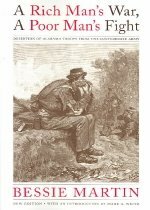 To read the thoughts of one U.S. volunteer soldier about draft troops during World War I, visit Soldier’s Mail. I don’t think the draft should ever have been stopped. I don’t buy the cannon fodder theory – far too many are being killed and maimed and we have not progressed to a virtual army. It makes no difference if I hate war or not, wars continue. Now we have a buttload of kids who either kill each other on the streets, or have to get counseling because mom and dad raised them to be a wuss. Military service, like it or not, is a great way to solve a lot of internal problems we now have.